With social media and motorcycle forums abuzz with the initial news of the flyer, the wheels began to turn and town officials began to take note and speak out. 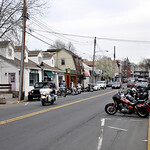 On Tuesday April 6, 2010 both Mayor Margot Garant and Port Jefferson Business Improvement District President Bruce Passarelli published statements denouncing the original “Food For Thought” anti-motorcycle points. It seems that there was a rogue member of the BID trying to further their own personal agenda. 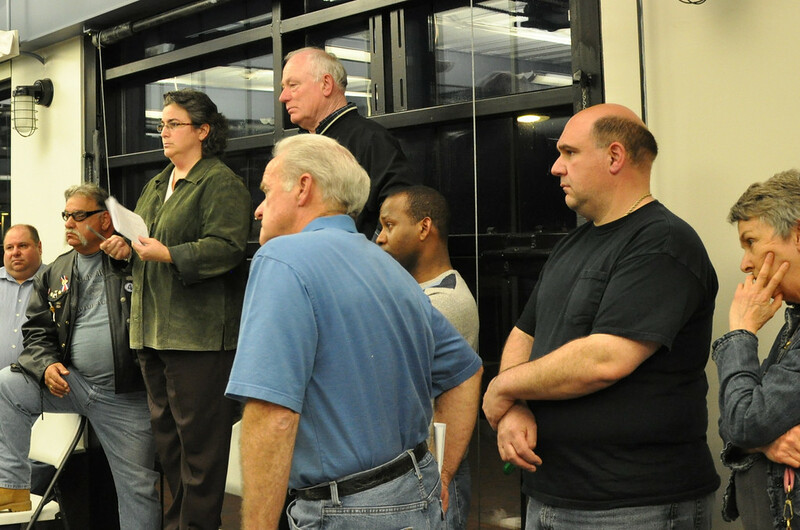 On Tuesday evening, the BID held its monthly meeting at the Port Jefferson Village Center. 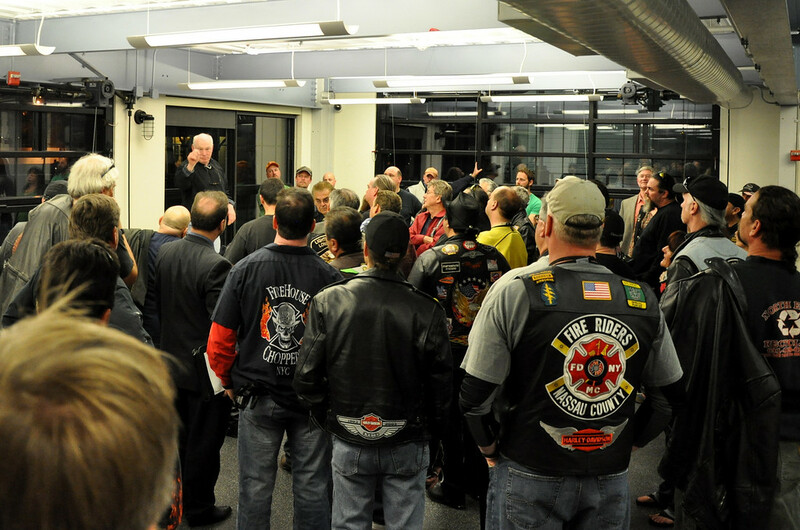 The floor was opened to discuss the offending flyer, the Village, and BID’s stance on motorcyclists in town. 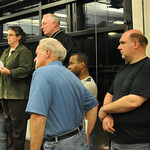 The Mayor again reiterated that any disparaging remarks made were not the feelings of the Village or the BID as a whole. 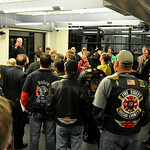 She was very open and forthright and seemed to welcome further constructive communications with concerned motorcyclists. 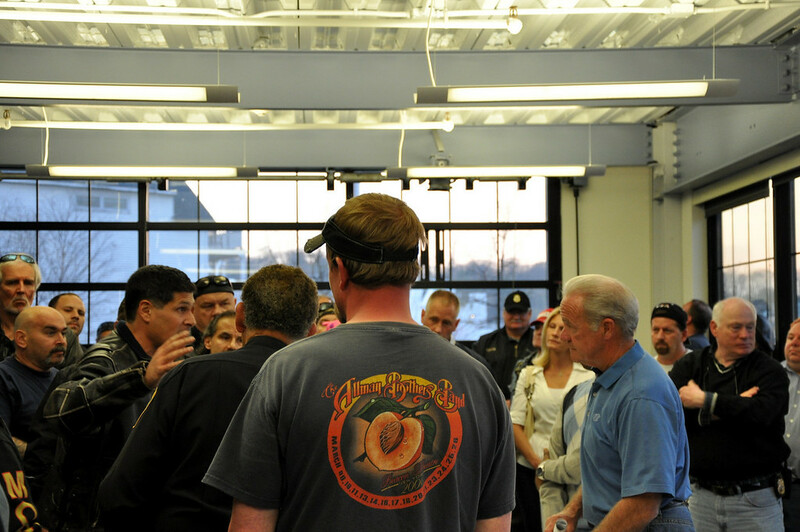 The meeting was attended by about 100 motorcyclists, a small handful of business owners, law and code enforcement officers and the Mayor herself. As you might imagine there were moments when the audience was very passionate about having their voices heard, but overall those that wished to address the panel were able to do so. 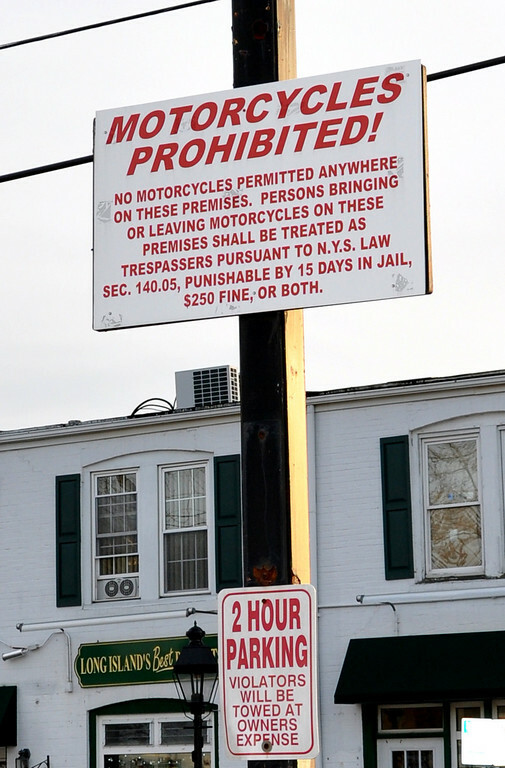 At the center of much of the ire was George Wallis, a local business and property owner who supports a “Motorcycles Prohibited” sign in his privately owned parking lot. The anti-motorcyclist remarks on the flyer are widely attributed to Mr. Wallis. During the meeting he made no effort to soften his anti-motorcycle stance as speaker after speaker questioned his rationale. As stakeholders spoke of taking their business elsewhere, he rebuffed them noting that he had “plenty of money,” and welcomed them to do just that. When asked about his motorcycles prohibited parking sign, he stated that motorcycles parking in his lot bring the property value down. So, the man with plenty of money is worried about his bottom line after all. I think that it is important for all motorcyclists to avoid spending money in George Wallis’ establishments. Mr. Wallis doesn’t “need” it, but there are plenty of other motorcyclist-friendly places in town that do. 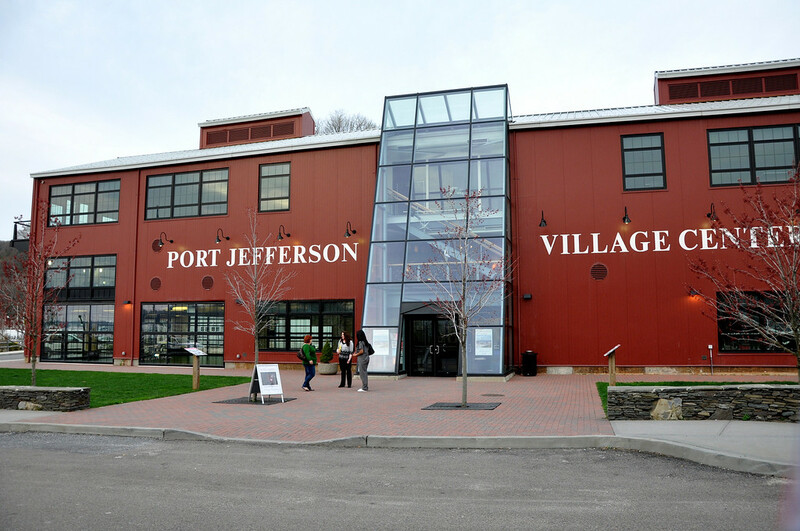 The Village of Port Jefferson has been open and timely in responding to questions about their stance and policies. 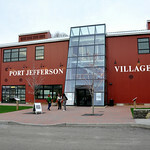 You can follow the village on Twitter and become a Fan on their official Facebook page. I’d like to personally thank Brad of the New York Motorcycle and Scooter Task Force for educating me on process, laws and for communicating with town and law officials regarding this issue. Please check out the NYMSTF on the web and Facebook. Get involved in the community you care about. I was wondering if we would get to find out who the “rogue” businessman would turn-out to be. Thanks for the link, Wendy. I’ve read similar things elsewhere. I find it silly, but there may be some truth to it. I think some folks are walking around thinking that every motorcyclist is an outlaw gang member or something. It’s just foolishness. I don’t know how or if it is possible to get people to look beyond those outdated stereotypes. Do a bit of riding in Europe and in places that motorcyclists frequent you’ll find ‘bikers welcome’ signs – restaurants, hotels etc all rolling out the red carpet. Seems like this Wallis guy is a bit of a one-off nutter. Maybe a biker shagged his missus? There are plenty of other merchant who are rider friendly. I wish I knew what in particular set this guy off. He wasn’t saying last night. But, there will be no changing him so – we have to change our patronage and that’s fine by me. Great post Fuzzy! We motorcyclists should be careful to not write-off this Wallis character as an isolated nut-job — there are many in the US who feel the same, and every now and then one becomes more vocal or takes political action, often spurred by encounters with open-piped bikes. Educating the non-riding public and ambassadorship are the keys methinks. Very ‘outdated’ views, sounds like this individual has never moved on from watching ‘The Wild One’……. Motorcyclists ARE doctors, lawyers, nurses, business owners, we just choose a (relatively) environmentally friendly vehicle to ride around on, instead of a gas guzzling Car or Truck…. although we DO have to effectively ‘police ourselves’ on the noise issue, and learn to compromise a little…otherwise, rather like the UK in the early 90’s, we will find those in power dealing with ‘noise’ rather heavy handedly!!! very good writeup, and also a bit scary..’the thin end of the wedge’ here, maybe…. We have to be responsible too, but, I for one will not be frequenting those establishments listed, and I will NOT be sending my customers to The Frigate anymore, when they need a particular candy. PS How about printing up some “George Wallis Prohibited” signs……..I’ll fly one from my parking lot!!!!!! On behalf of the Mayor and the Business Improvement District, I would like to take this opportunity to thank everyone who took the time last night to come out to the Village Center and share their views and opinions. 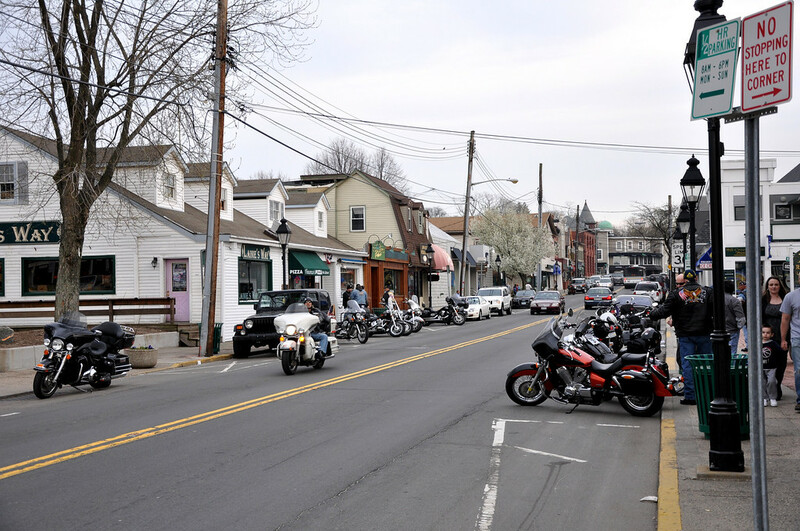 The Mayor and the Parking Committee are continuing their work to increase the availability of motorcycle parking throughout the Village of Port Jefferson. If you have any questions on parking, or anything in the Village, please contact Port Jefferson Village Hall at (631) 473-4724. Looks like the bikes did thousands of dollars of improvements to me. Good job, both in going and then getting the word out. Attacks on us need to be publicized so we can take appropriate action (as done here). Congrats. Great Job Fuzz glad to see there was such a big turnout! Hey Fuzzy, great seeing you at the PJ BID non-meeting. I believe you can add Dockside to the list of motorcycle -unfriendly businesses. 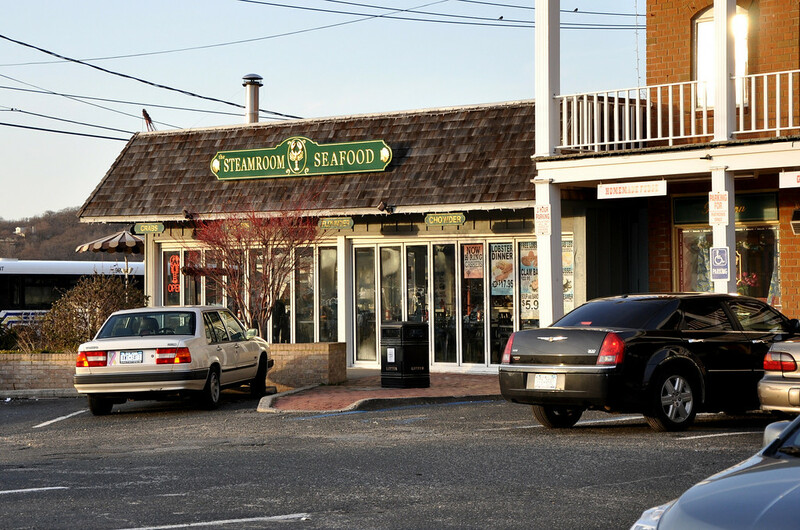 The Dockside changed their name a few years ago and then just recently again. I am not certain that restaurant is still owned by Wallis. You poor bastards are on the wrong side of the Long Island Sound. EVERYONE on the mainland of New York and Connecticut have a great time riding the roads and stopping at anyone of the thousands of establishments who welcome our business (and money) all year round. Between the congestion and poorly maintained roads there is NO REASON for you not to cross over one of the bridges and into PARADISE. I’m not a native Long Islander, so I know what you mean. But the reality is – people are small minded everywhere. You just don’t always hear about it. Wish I could have attended the meeting in Pt. Jeff! Years ago, when I lived in Selden, newly married, raising my three little boys, living the “American Dream” of owning a home, raising a family, being part of a community, I loved coming up to Pt. Jefferson in the early evenings with my children. We would stand near the dock and enjoy watching the Ferries come in and go out; we would walk pleasantly through the quaint town, shopping in all the wonderful shops, and enjoying a nice meal in one of the restaurants. Of course, we would always get ice cream afterwards! We spent quite a bit of time in Pt. Jeff, and quite a lot of money, also! Years later, after moving away from the area, no more kids in the house, Pt. Jeff has remained an exciting destination for me to head to on a sunny afternoon. Once again, to walk through the town, make purchases in the great shops, stand at the dock and watch the Ferries come in and out, and enjoy a nice dinner in one of the restaurants – and, yes, I would still enjoy an ice cream afterwards! And, yes, I spent quite a bit of money in one afternoon in this quaint little town. And I was so PROUD to be one of them! Here I am, in my 50’s, enjoying my day, riding my motorcycle, purposely stopping in YOUR TOWN because of its charm & inviting businesses, and getting to meet and talk to so many people with the same interest as I have in motorcycling! “Unsightly?” Have you ever looked at these machines? riders taking such pride in their bikes! Grown men, awe struck by the big Iron Horse of his dreams! I don’t quite understand the business thinking of banning motorcycles from your town! They guy (or girl) on the motorcycle is more than likely middle-aged, employed in a manner that affords him to own an expensive “toy”, and is just like you or me once the horrible, unsightly, ugly motorcycle is taken out of the equation!!! How about banning ugly cars from your “better-than-thou” little town? Or banning lower income people from the precious Pt. Jefferson? In order to enter your World and spend OUR money!!! This is funny stuff. Whoever published this “unauthorized” flier is either a genius, or a complete twit. 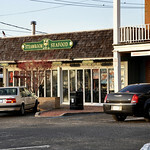 This one has given Port Jefferson free national coverage that even a marketing or ad agency couldn’t have come up with. Seriously, this is the chatter on various forums that have national and international coverage. I first heard of it on Tuesday night on an internet tv show, KICKSTART TV. As far as Mr. Wallis goes, he is well within his right to prohibit motorcycles from his private property. I have no issue with that. 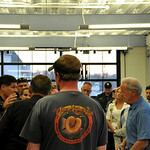 I think he’s a lying sack of crap for claiming the the presence of motorcycles lower his property values, but so be it. What evidence does Mr. Wallis have to support this absurd claim? Why can’t he just be honest and simply say he doesn’t like motorcycles. I can respect a person for their honesty even if I don’t agree. I wonder if it ever occurred to the publisher of this flyer that prohibiting motorcycles from public roads is just plain illegal? How is that different then banning Blacks, Hispanics, or Pacific Islanders? Or fat chicks? I can only imagine what the screeching and whining would have been like had someone put up a poster “NO BLACKS” on the parking signs. Now if someone is really bent on banning something on the basis of being unsightly, may I suggest the Pontiac Aztek or the Chrysler 300? Ride on boys and girls.